Chevrolet is pushing hard for the Malibu to catch up to the rest of the midsize pack, but even with yearly updates of late, it just can’t keep pace. A redesign in 2013 brought out a few major issues that demanded attention just one year later. Suspension revisions actually addressed the sloppy handling of the 2013 version, but changes to the rear seats fixed the lack of legroom on paper alone. While the extra room looks good from a numbers point of view, the inches carved out of the rear seat cushions only make for a more uncomfortable ride with knees headed toward chins. So what did Chevy think the Malibu needed for 2015? Like around 30 other models in the GM stables, the Malibu finally gets 4G connectivity through AT&T, a much-needed upgrade for all the new tech that got added. If only the data plan was as attractive as the intention, but that analysis will have to wait. For now, let’s concentrate on the good. It's a shame that such changes are needed so soon after a redesign, but kudos to GM for being so quick with the patches. 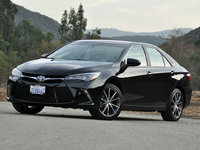 New springs in the struts definitely improve the ride and handling alike, and consumers seem to enjoy the aesthetic treatment given to the front grille and the reworked center console. The start/stop feature added to the base 2.5-liter engine contributed to a nearly 14% increase in fuel economy, along with the addition of Intake Valve Lift Control. Unfortunately the Malibu still misses top marks, even with these changes and even with a newer, more-efficient 6-speed automatic. EPA estimates of 25 mpg city/36 highway fall short of the class leader's, the Altima's, but put it right in line with the rest of the midsize segment. If the base engine gets more efficiency, the optional engine should get more power. That’s exactly what happened, too, as the turbocharged 2.0-liter got a boost to 295 lb-ft of torque to complement the 259 hp it already sported, enough to make a 6-second run to 60 a real possibility. To highlight that new speed, GM has finally arranged for 4G-LTE connectivity paired with its OnStar system. Free for the first 3 months or 3GB of data, whichever line you cross first, after that you’ll be able to continue utilizing the feature for as little as $5/month as long as you’re already paying for your OnStar subscription. (AT&T Mobile customers can jump on for $10/month without the prerequisite of OnStar.) Of course, that means just 200MB of data, a paltry offering in this dauntingly digital world. GM brags that’s enough for 6 hours worth of music listening, or less than a week’s worth of commuting time. For $50/month you can upgrade to 5GB, but that’s another figure that can be consumed readily when factors like GPS navigation, internet browsing or putting a movie on for the kids are considered, not to mention the fact that this is effectively increasing your monthly payment by another $50, in addition to the cost of an OnStar subscription. I’d rather just plug in my own tablet or phone with the unlimited data plan I’m already paying for, although with the GM plan your car does become a mobile Wi-Fi hotspot for up to 7 extra devices. That means all your passengers can connect as well, but just watch how long your 200MB or 5GB last when you’ve got 4 people chipping away. If nothing else, it’s a necessary upgrade from the 2G the system previously used. But will any of this be enough to bring the Malibu up to the level of competitors like the Fusion, the Passat or the Altima? It’s more attractive, but it certainly doesn’t have the style of the Fusion, the finish of the Passat or the ride of the Altima (seriously, have you spent any time in those seats??). It’d be nice to see Chevy showing up with a product that’s competitive from the start, but it’s hard to put up much protest when they’re fixing issues so quickly if not so thoroughly. That is, unless you’re one of the unfortunate few that bought a 2013 Malibu. Then you have plenty to protest. For now, I’d skip 2015’s upgrades and stick with a 2014 if you must have a Malibu. Otherwise, there are better options in the segment. 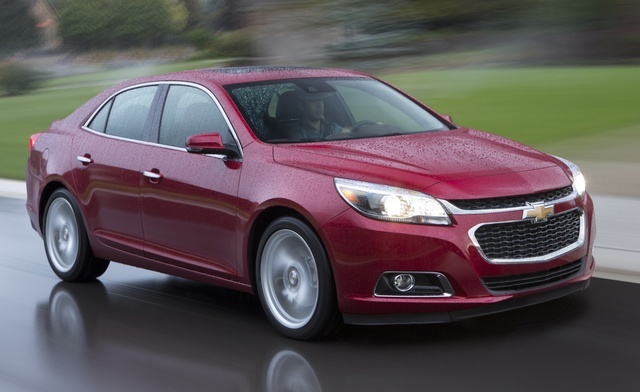 What's your take on the 2015 Chevrolet Malibu? TheHorror The Camry is more reliable. The Mazda6 is more fun to drive. 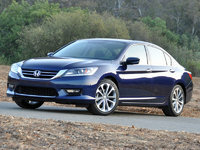 The Accord is more reliable and more fun to drive. 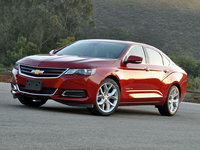 Users ranked 2015 Chevrolet Malibu against other cars which they drove/owned. Each ranking was based on 9 categories. Here is the summary of top rankings. 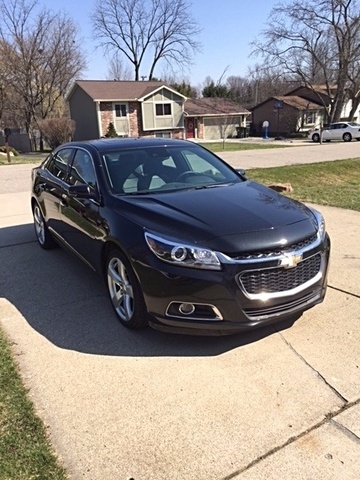 Have you driven a 2015 Chevrolet Malibu? What Is The Proper Dipstick Level On A 2015 Chevy Malibu? after oil and filter change the dip stick level is just short of max is that ok?